Not if you have children or pay child support or spousal support. Obviously, if you have children, you will need to consult with the other parent about parenting issues. 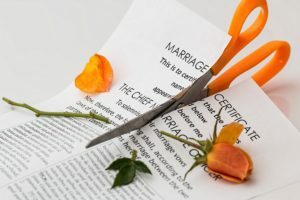 As well, according to the recent court decision of Marinangeli, if you pay child support or spousal support, you are required to inform your ex-spouse of any material changes in your financial circumstances. You are setting yourself up for what could be a substantial retroactive child support or spousal support claim. That is, you may find that you suddenly owe your ex-spouse a large amount of money for child support and spousal support that you should have paid over the years. On top of this, the court can add interest and order that you pay part of your spouse’s legal fees. You need to decide right away whether to take legal action to change your child support or spousal support payments. Generally, a court won’t make adjustments to child support or spousal support prior to legal action being started. So, if you don’t start right away, you could lose out on money to which you are entitled. You will need to pay more child support. The amount of child support is based on your income, and as your income increases over time, the amount of child support will increase too. The thought behind this is that if you had not separated, your children would continue to benefit from increases in your income. They should not be harmed just because your marriage ended. As for spousal support, this issue is a lot more complicated. In some cases, it will mean an increase in spousal support, in other cases not. This is because spousal support depends on many factors, and not just what your income is. Your best bet is simply to send a copy of your income tax return, every year, after you have completed it, to your ex-spouse. Obtain proof of mailing this. As well, if there is a major change in your financial circumstances in-between the filing of your income tax returns, you should inform your ex-spouse of this as well. In some cases, it may make sense to include a specific term in your separation agreement stating that there is no obligation to provide financial disclosure. This would be useful in cases where there are no children, and there is a time-limited spousal support obligation.